Chronic Achilles tendinitis (also spelled tendonitis) occurs when the Achilles tendon becomes inflamed over a period of time. Usually due to repetitive overuse, irritation or may be a result of acute tendinitis that has been left untreated or has not been allowed sufficient rest. The pain of chronic Achilles tendonitis can occur lower down the ankle at the insertion point of the tendon (insertional tendinitis) into the heel bone or part way up the tendon (midpoint or non-insertional tendinitis). In addition, it is common that the tendon becomes enlarged and inflexible with the build up of scar tissue. 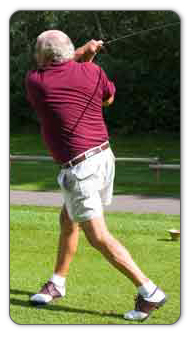 Although this condition is very common among male recreational runners between the ages of 35-45, Achilles tendinitis can also affect people participating in lower impact sports, like golf, and less active pastimes, such as gardening who may have poor foot mechanics or weakened muscles in the calf and tendon tissue. If you feel a sharp pain, as though you've been hit in the back of the ankle, and hear a "pop" sound, your Achilles tendon has likely ruptured. A ruptured (completely torn) Achilles tendon is caused when the Achilles tendon is overstressed to the point of tearing. It will be very difficult for you to walk or move your ankle if this is the case. Acute Achilles tendinitis that has gone untreated. Not warming up or stretching before and after exercise. Wearing high heels over a long period of time. High heels cause the calf muscles to shorten (contract) providing less slack in the Achilles tendon. An inflexible Achilles tendon (i.e. tendon with scar tissue from previous injury or wear and tear or acute Achilles tendinitis). 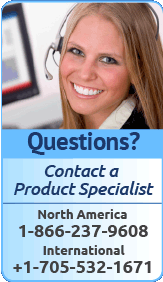 Training on uneven terrain or a change in terrain (i.e. hills) . 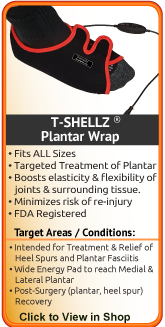 Flat feet (also called pes planus or fallen arches) can cause extra stress on the Achilles tendon. 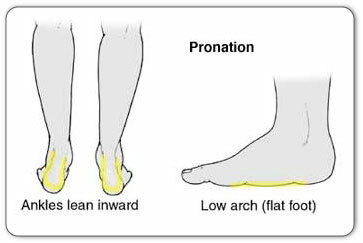 Overpronation of the foot (rolling your foot inward too much when you walk or run which may be due to having high arches). Bony growths around the heel (sometimes caused by arthritis) which irritate the Achilles tendon. Heel bones can very in shape and size from person to person. With such variations, a small heel bone can put extra stress on your Achilles tendon causing you to more of a chance of damage then the next person. An irregular shape calcaneus (heel bone) can cause the Achilles tendon to twist causing further irritation. Chronic Achilles tendinitis can be a difficult condition to treat due to the build up of scar tissue on the tendon. Scar tissue can form in any direction. 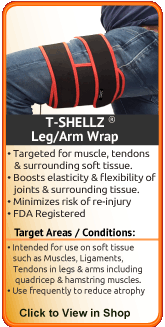 Ultimately what causes stiffening, entrapping a nerve, restricting movement, less elasticity, poor circulation, flexibility and leaves the tendon more chance to further injury. 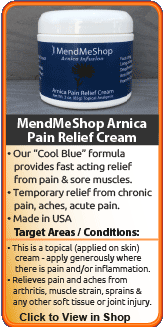 How Do You Treat Chronic Achilles Tendonitis? 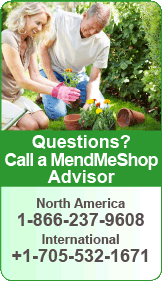 Be Proactive About the Health of your Injury! 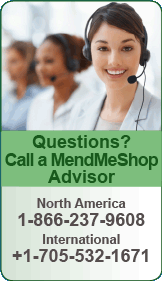 Your doctor has given have conservative treatments before even suggesting surgery. It is generally understood by doctors and surgeons, that surgery will introduce more scar tissue into the any already damaged tissue. This added scar tissue will be problematic, requiring more physical therapy and conservative treatment options post-surgery. If not dealt with properly, your Achilles tenosynovitis injury could end up in worse condition than before the surgery! This is why surgery is only performed as a last resort. 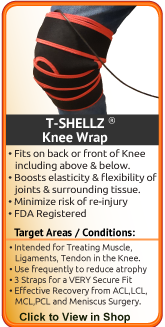 The trick with any tendon injury is getting it to heal with minimal scar tissue growth and with as much realignment of tendon fibers as possible - something the TShellz Wrap is great at! Even with optimum healing, there is always less elasticity in a previously injured tendon. This will cause the tendon to hurt, during ANY exercise. 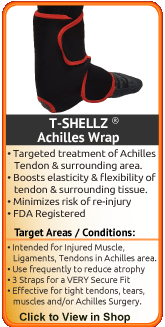 Allowing your Achilles tendon to rest is always recommended following injury. Avoid all activities that may have caused the injury or irritation and begin cold compression treatments as soon as possible. The Achilles tendon is a difficult tendon to rest completely as it is an essential tendon for walking and daily activities. Alternative medications like cortisone injections are NOT advised for any type of Achilles Tendon condition. This is because there is increased risk of rupture of the tendon following a cortisone injection.